MCO customers to benefit from the industry’s most generous cashback and referral program. Crypto Wallet Cashback, a program offering up to 1% cashback rewards for all purchases and exchanges of cryptocurrency in the MCO Wallet App. 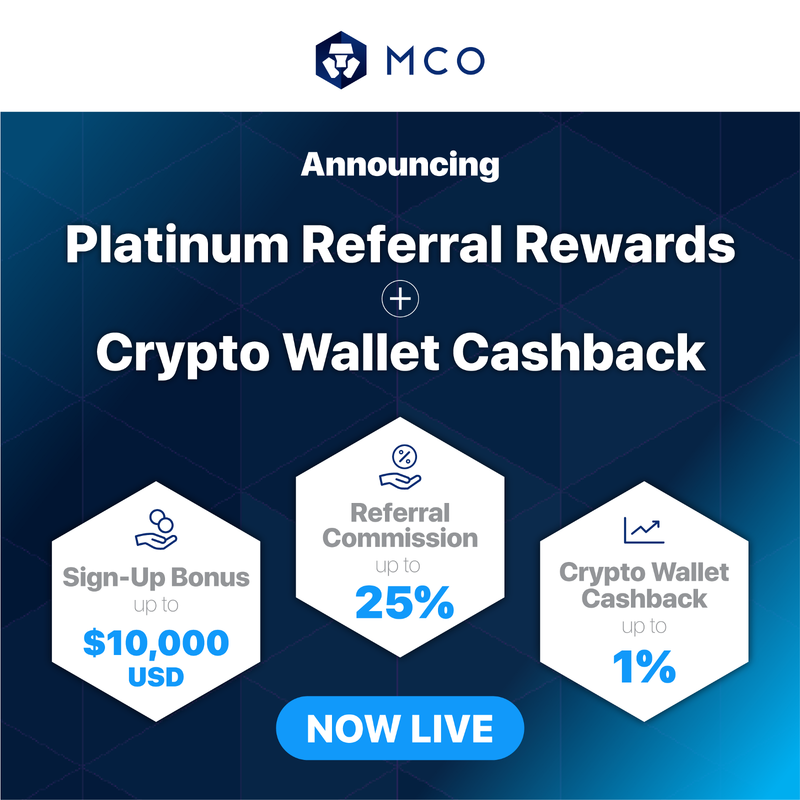 To participate in the program, each user starts by reserving a MCO Platinum Visa card (a metal Visa Card with no annual fee) which requires the staking of MCO tokens based on the card reserved. Each user can then invite friends to the MCO Wallet App and gift them MCO tokens with special referral links. Users are able to gift up to US$10,000 to up to 100 friends, the equivalent of US$100 per friend. In addition, the referrer will earn up to 25% of all net fees (net of third party payment/transaction processing cost) collected on their referred friend’s cryptocurrency transactions. In addition to users receiving up to 2% cashback on all purchases made with their MCO Visa Card, they will also be rewarded with up to 1% cashback on all crypto purchases or a crypto-to-crypto exchange made through the MCO Wallet. Currently, the MCO Wallet supports four cryptocurrencies, with more to come soon.